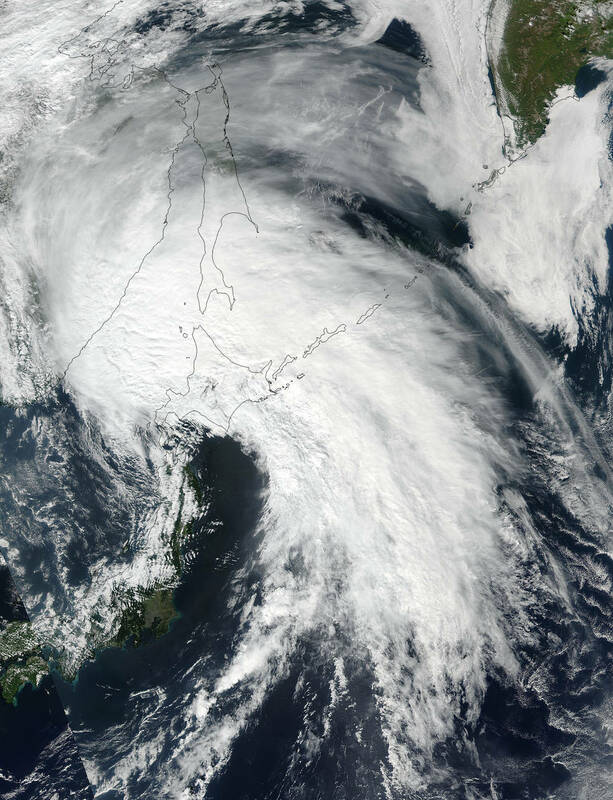 Hundreds of thousands were evacuated Sunday after Tropical Storm Talim made landfall in Japan, packing strong winds and heavy rainfall. Nearly a foot of rain has already fallen in parts of eastern Kyushu, according to weather.com meteorologist Chris Dolce. The torrential downpours could result in flooding and landslides. In Kagoshima Prefecture, 230,000 people were evacuated, EuroNews.com reports. Nearly 60,000 were issued evacuation orders in parts of Oita and Miyazaki prefectures, the Japan Times reports. "The mountains seem about to collapse," a resident of Asakura told EuroNews. "I think it will be okay but I am still scared." A 71-year-old man is reportedly missing in Oita prefecture, where more than 500 people have become stranded, Xinhuanet reports. Operators of bullet trains reported stoppages due to power outages and the heavy rain, Bloomberg reports. The storm caused flight cancellations Saturday after bringing high winds and significant rainfall to the country's southern islands. China Airlines, Tigerair Taiwan and EVA Airways have all cancelled flights, Focus Taiwan reports. The storm will continue to affect Japan with heavy rain and gusty winds as it accelerates northeastward according to Dolce. Before hitting mainland Japan, Talim caused more than 18,000 homes in the city of Miyako, located about 1,000 miles southwest of Tokyo and home to 54,000 people, to lose power. The highest 24-hour rainfall total in more than 40 years was recorded there Wednesday. Trees were uprooted and power lines knocked down on Miyako Island and its neighbouring islands, the Ryukyu Shimpo newspaper reported to SBS.com. The Miyako-Jima Island airport clocked a wind gust of 108 mph late Wednesday, local time, and picked up a 24-hour record rainfall of 18.86 inches, notes weather.com meteorologist Jon Erdman. Over a two-day period, Miyako-Jima picked up 20.30 inches, also a record, there, dating to 1977. Talim pushed high surf toward the coast of China, where more than 200,000 people had been evacuated from the Chinese provinces of Fujian and Zhejiang of Wednesday. According to UNTV, the storm had already raised the tide more than 30 feet in Yuhuan, in the Zhejiang province. "We've evacuated all the people here, providing them with daily supplies," said Yongxing Community Committee of Sansha City deputy director Zhao Heng.